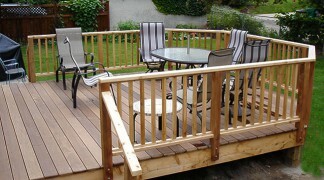 Enjoy the warmth and beauty of durable wood on your new deck built by Home Customizers’ expert craftsmen. Trex®, Azek® and many other modern, low maintenance synthetic materials are in great demand now. So whether you are using cedar, exotic ipe hardwood, synthetics, or pressure treated southern yellow pine, Home Customizers has worked with all and can help you choose a deck that suits your design and budget. Patios add more space to your outside living environment and are a favorite among St Paul and Minneapolis area homeowners. For grilling, entertaining, relaxing and storage … patios are a versatile, attractive and inexpensive solution. Most patios can be built with materials that are virtually maintenance-free. This is a big benefit for busy families who want to enjoy the outdoors without adding another maintenance task to their To Do list. Choose a patio built with wood or concrete for simplicity and function. Brick or stone pavers are common for patios offering a more stylish look that are still easy to maintain. 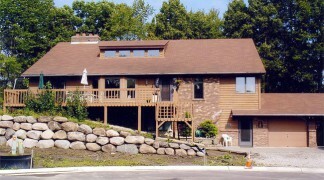 Decks and Patios offer outdoor living at its best! Looking to build a new deck or patio? Give Home Customizers a call!